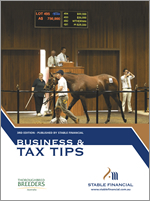 This booklet should enhance your understanding and management of your tax obligations within the Thoroughbred industry. It will also identify opportunities for reducing your tax liabilities and should assist you in understanding and improving the way your business operates. ATO Audit – What Should I Do?